The Datamax E-4204 has been renamed to the Datamax-O'Neil E-4204B. 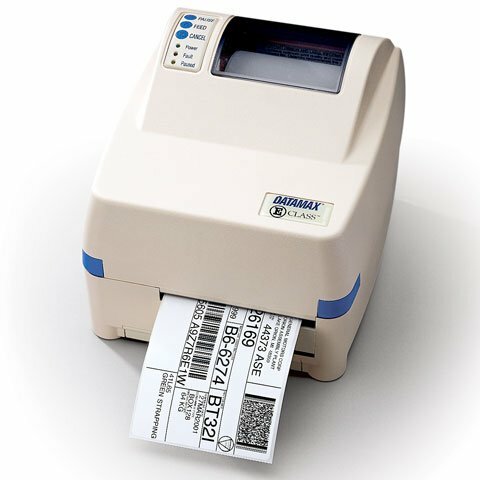 The E-4204 entry level printer performs in a wide range of environments from office & retail to light industrial locations. The E-4204 expands on the successful design elements of the Datamax E-Class and adds important capabilities designed to enhance the printer's performance while continuing to provide exceptional value. Available in either direct thermal or thermal transfer mode, the E-4204 is a versatile product designed for performance. The E-Class printers continue to feature a small footprint, sleek enclosure and enhanced printing capabilities to provide exceptional entry-level printers. Direct thermal, 203 dpi, 4" print width, 4 ips, serial, parallel and USB interfaces, up to 5" diameter media roll. Direct thermal with thermal transfer covers (requires (Part# OPT78-2354-01) for thermal transfer capability), 203 dpi, 4 inch Print width, 4 ips Print speed, RS-232 Serial, Parallel and USB Interfaces, Cover and Standard Media Sensor. Includes US power cord.